I totally picked this book based on cover alone. I had no idea what I was getting into before I read it, I was hoping for snarky characters with a little bit of mystery. What I found was far more strange than that. This book feels like if Tim Burton were to write epilogue fanfiction for the Pevensie children of the Chronicles of Narnia. Ev, Phillippa, and Jaime were whisked away from the dangers of the frequent bombings in war-torn London. However, the new fantastical world they found themselves in was not much better from where they left. Phillippa and Jaime are desperate to go home, but their younger sister Ev feels like she is home and never wants to go back. While each sibling counts on the other and their presence and eventual journey is determined by the others, the siblings live a full life in this fantasy world. However, they battle in the world’s own earth shattering war, which draws similar parallels to the war going on in their original world. 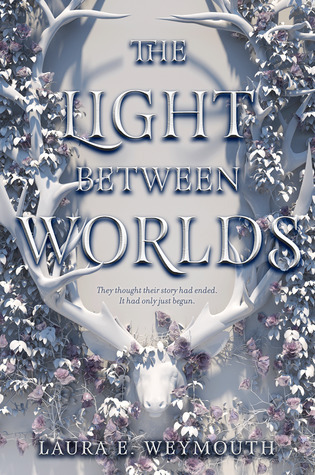 When the family returns to their original world, Phillippa and Jaime are desperate to move on and not talk about their experiences in the old world, whereas Ev will do anything to get back. After years of turmoil and heartache, Phillippa can no longer watch her sister’s destructive ways to go back, so she chooses to go to college in America. It is while the siblings are apart that Ev goes missing, the family will stop at nothing to find her, hoping that she hasn’t died in the process to get back to the fantasy world. This strange book will appeal to readers looking for a twisted take on their favorite fantasy classics. This book reminded me of the book Every Heart a Doorway and twisted Chronicles of Narnia. While I didn’t find myself loving these siblings as I had with CoN, it was unique. I didn’t particularly like either world or any character.